Nathan is the Practice Principal and an Equine Veterinarian. With a passion for Equine practice from the very early days, Nathan worked in the UK for some time before setting up his practice Westvets in Anstead where he has been based since 2002. Nathan’s main fields of expertise are the diagnosis and treatment of lameness in performance horses and equine surgery. Nathan also has extensive experience in Equine Reproduction and he thrives on the hectic workload of the reproductive season. Nathan’s most recent highlight was being selected as the Team Vet for the 2016 Rio Olympics, a huge achievement. 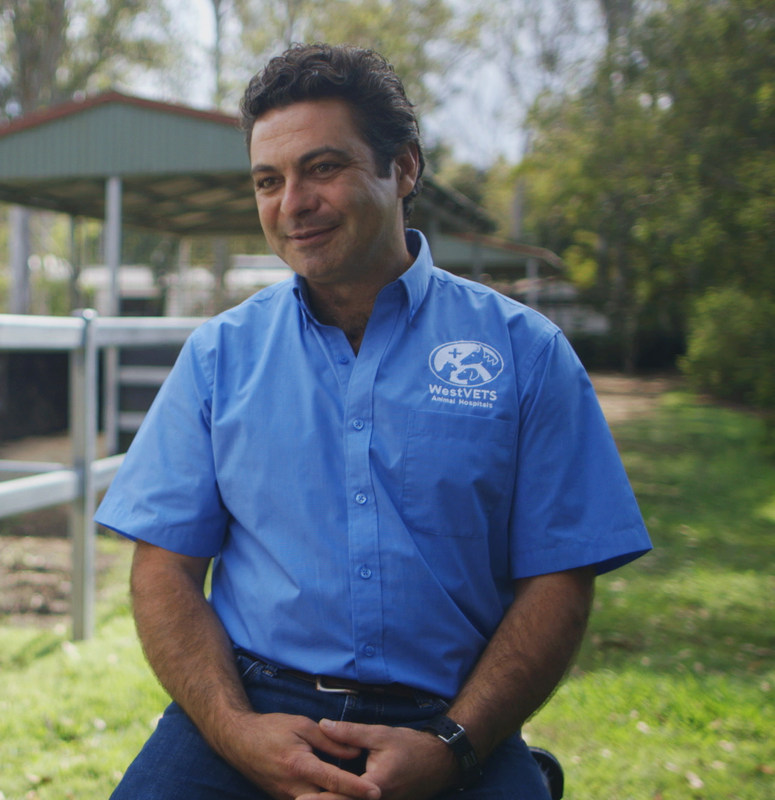 Nathan is a former president of Equine Veterinarians Australia and has held the position of Australian Eventing Team Veterinarian since 2013. He also enjoys equestrian sports and is an accredited FEI Veterinarian. Often you will find him officiating at equestrian events. Nathan’s expansion has seen him upgrade the facility at Anstead to a modern and state-of -the-art hospital that provides complete service to family pets and horses. The major initiative however was the construction of a one-of-a-kind specialist Animal Hospital and Equine Reproduction Centre located at Marburg just West of Brisbane. Just like it’s been important for Nathan to live his passion and build his business, it’s equally important for him to create a legacy that will live on for many years to come and also free up some of his time to enjoy with his family. Designing a path for succession to create a sustainable future for Westvets in years to come. This will involve bringing in key professional staff members and shareholders through a succession plan. Protecting Nathans business, his wealth and his family through risk identification and estate planning. Creating a clear path to financial freedom and security. Nathan continues to achieve major milestones within his specialist field, and we at GCA Financial are proud to be on the Journey with Nathan, Kirani and the Westvets team. Like To Chat With a GCA Member? Want to chat about how we can get you on track to achieving your financial goals? You can book a no obligation consultation with us using the button below. GCA Financial Pty Ltd is an Authorised Representative of Financial Wisdom Limited ABN 70 006 646 108, AFSL 231138, a wholly owned but non-guaranteed subsidiary of Commonwealth Bank of Australia ABN 48 123 123 124.